Filed to: David De Gea.Filed to: David De Gea. 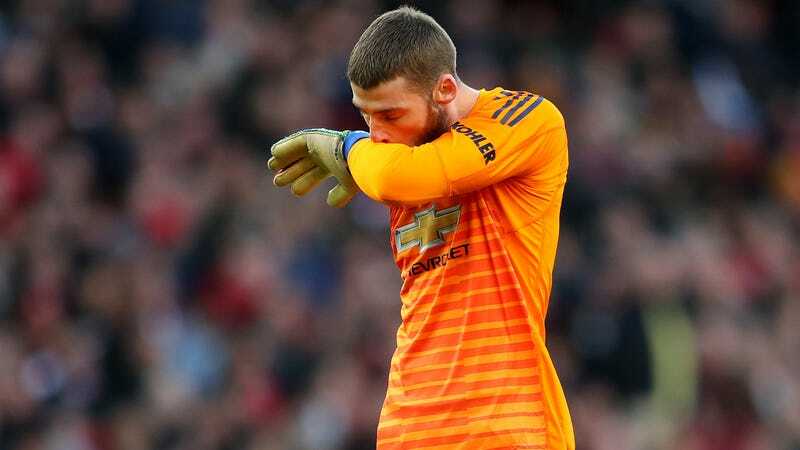 Before the match, United’s goalkeeping coach spoke of the “super special preparation” de Gea had undergone to avoid conceding to Messi. Presumably, this is not what he was referring to.